PANDORA Rainbow of Love Pendant Charm. 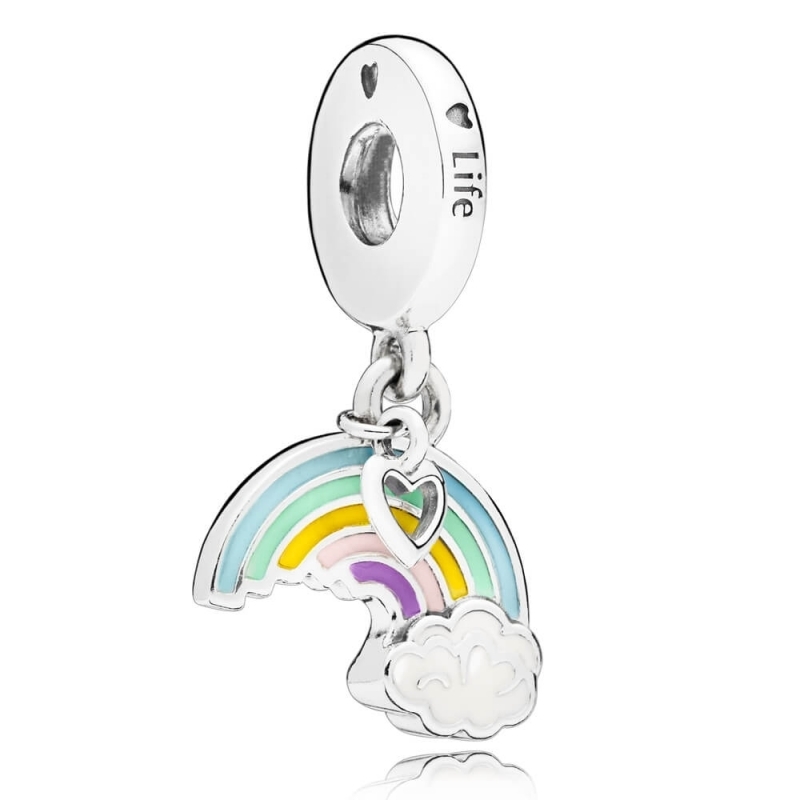 Spread the power of positivity and feel empowered with this stunning rainbow of love dangle charm. Made from sterling silver and finished in vivid multicolured enamel, it even includes picturesque fluffy clouds and is engraved with '♥ life' on the bale. Lovely little charm for my daughter!